The 2011 European Hurling Championship is coming down to the wire on the final tournament of the year in Leuven, Belgium, this Saturday July 23rd, from 9am – 6pm. 2009 and 2010 Champions Belgium GAA are hosts, but it is between Den Haag and Zurich to see who will take the title in 2011. Den Haag claimed the first tournament on home soil in April and followed it up with a victory in Budapest in May. Zurich bounced back however, with a famous victory as hosts in their own tournament against Den Haag in June, setting up an epic showdown for this Saturday in the sports grounds of the Catholic University of Leuven. The hosts will be hoping to upset the apple cart, fielding their strongest team this year, but it should ultimately come down to a head-to-head duel between the hurlers of Den Haag and Zurich. Luxembourg, champions in 2008, will also add a competitive bite to proceedings in what should be the most exciting finale to European hurling in 5 years – it is the first time in over half a decade that the championship will come down to the final tournament. The Camogie tournament will feature 2010 and 2011 champions Belgium GAA seek to take a clean sweep of tournaments on home turf, facing a stiff challenge from Luxembourg, Zurich and Paris. The Belgian ladies have already wrapped up the 2011 title, winning the Den Haag, Budapest and Zurich tournaments to date. There is plenty to play for, as the ladies of Luxembourg, Zurich and Paris will all be out to take the hosts’ scalps, so it will be a fascinating battle in a competition that is seeing the biggest growth in standard and participation of any of the Gaelic Games on the continent of Europe. 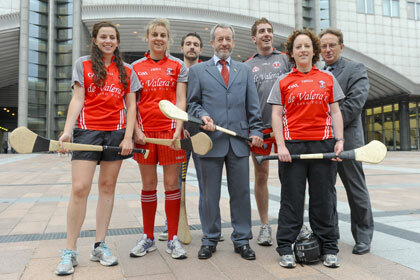 The tournament was officially launched recently by Sean Kelly MEP at the European Parliament, Brussels.